SolarWorld is a German manufacturer of tier one solar panels. 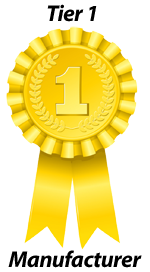 All Solarworld panels have a 20 year product warranty. They also have a 25 year performance warranty, except for their Bisun panel which has a performance warranty of 30 years. All Solarworld panels are certified as corrosion resistant and so are suitable for installation near the sea. They do not have an Australian office which means the company that imports the panels is responsible for their product and performance warranties. SolarWorld’s production capacity in 2016 was over 1 gigawatt. Their CEO has said production will be around 700 megawatts in 2017 and will return to over 1 gigwatt. SolarWorld manufactures in two locations in Germany. In Arnstadt in Thuringia they have the production capacity to produce 500 megawatts of silicon ingots, 700 megawatts of solar cells, and 200 megawatts of solar panels. The solar cells that aren't used to make panels there are presumably sent to their other panel manufacturing site in Fierberg. SolarWorld used to claim to have had 40 years experience. That’s a neat trick considering its founder only started the company it was based on in 1988 and SolarWorld was not formed until 1998. Rather than claiming to have invented a solar powered time machine, they said they had assimilated the experience of the United States STI company founded in 1975. This seems like a bit of a stretch to me. It's also unnecessary, as they’ve been making solar panels for longer than the large majority of panel manufacturers. SolarWorld has gone from success to failure more than once. Their share prices tanked in 2006, they almost went bust in 2013. In October 2016 they announced they would not meet their revenue forecast for that year and the month before they announced they would lay off 500 workers. 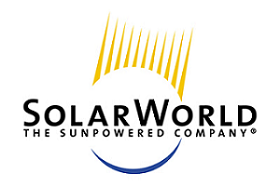 In May 2017, SolarWorld AG announced it would be filing for insolvency proceedings, then in In August, an agreement was signed for the purchase and transfer of SolarWorld AG, SolarWorld Industries Sachsen GmbH, SolarWorld Innovations GmbH and SolarWorld Industries Thüringen GmbH by SolarWorld Industries GmbH. 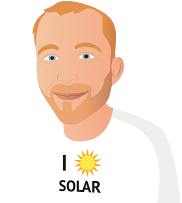 The new company took on the warranty obligations of the old SolarWorld. More on these two events can be found here. Back in around 2008, SolarWorld entered into an agreement with Hemlock, a poorly named American silicon producer, to buy silicon from them at a set price. After silicon prices fell, Solarworld decided they’d rather not do that and broke their agreement. So Hemlock is suing them for a billion dollars. Back in March 2013 Hemlock wanted $83 million US in damages and at the time of writing in 2016 they want $793 million US or over one billion Australian. Part of the increase is on account of interest payments and I can only imagine the rest is on account of a large dash of why the hell not? A US judge in Michigan ruled that SolarWorld has to pay the $793 million US in July 2016, but SolarWorld is confident that European laws means it won’t have to pay. SolarWorld investors appear to agree as the announcement had little effect on its share price which simply continued the slow decline it had been doing for months. Now that the original SolarWorld company is no more, Hemlock is unlikey to see any of this money. Just months after Germany’s SolarWorld AG was resurrected as SolarWorld Industries GmbH, the new company filed for bankruptcy. SolarWorld’s standard sized 60 cell panels range from 280 to 300 watts and can be up to 17.9% efficient. They have product warranties of 20 years, which is well above average, and have performance warranties are for 25 years. SolarWorld’s Bisun panel is bifacial. This means instead of glass on one side and an opaque backsheet, the solar cells are sandwiched between two sheets of glass. In addition, rather than having a light blocking coating on one side that reflects back through the solar cells, this panel has none and so and can benefit from light coming from the front and from behind. While they are 17.3% efficient in normal rooftop use, SolarWorld says if they are mounted over a white or otherwise highly reflective surface they can produce up to 25% more power than a standard panel. While they have the same 20 year product warranty as their other panels, its performance warranty is for 30 years. Note these panels only have an advantage if light can shine through them from below as well as above. If they are laid flat on a roof they will perform worse than an otherwise identical panel with a reflective coating on the underside of cells. If you want German made solar panels, then SolarWorld may be your only choice. Solarwatt is another German manufactuer, but there panels may currently not be sold in Australia. Because they don’t have an Australian office, under Australian consumer law, the importer of the panels is responsible for their warranties. As they are tier one panels with an impressively long product warranty they should be extremely reliable and I would have no problem installing them on my roof. The panels seem to work well in low light. We installed 18 x SolarWorld Sunmodule Plus 290 Watt panels (total 5.22 kW). We wanted the top end of efficiency and quality. We also chose a quality Schletter frame to mount them to the roof. We went for the high end because, in the context of the cost of a whole house, the extra sort of disappears! Level of performance exceeds the specifications. It produces more power than stated at the Specifications. After a year, it still looks like brand new. I have 17 Solar World x 235w poly panels fitted on my roof. Eight are on the eastern side and nine on the western side which was decided as the best placement for my style of roof and to gain maximum exposure to the sun year round. We have a curved colourbond roof . The panels were installed curved like the roof look great. Haven't seen any others like this... they all seem to be upright. Still get average 9kw per day out of them. So just as efficient not as unisghtly.